There is a unique weapon upgrade system in Blade and Soul, you can upgrade your weapon and use it throughout the game. Previously, you may stick to mainstream weapon till you get the hands on Gold Legendary. However, in the new level 50 cap, there are alternative weapons path, the Godly Weapon S1, S2, and S3. They are more affordable to buy with Blade and Soul gold. But it you want to get them, you have to meet the requirements and fulfill certain condition to breakthrough. For Godly Weapon S1, you can it from completing main quest Chapter 32. Besides, this weapon drops from Celestial Relic Box by chance and any world boss and hero dungeon. Currently, it is no need to spend anything on speeding up S1 weapon’s level. When you complete the main quest, you can get S1 evolve stone and you are able to speed up S1 weapon’s level to 10 for free. 4 Ghost stones + 2 Legendary weapons soul + 10 Moon stones + 60 Soul stones + 35 Poison needles + 5 S1 Crystals. Godly weapon S2 is more than Weapon S1. It divides into Dark Transience (S2-1) and Light Transience (S2-2) which are gotten from world boss killing. S2-1 is for survival and S2-2 is for concentrated attack/PvE. The max level stat for S2 is a little bitter better than S1. Also, you can exchange Godly Weapon S2 with Blessed Legendary Weapon level 10 as well. Legendary weapon of other suffixes can be dismantled to get “Legendary Weapon Soul” which is used for growing Godly Weapon. It is the most powerful weapon in Blade and Soul. There are a huge variety of attributes and suffixes, moreover, each of them has unique effect and stat. One of the 4 suffixes (blessed, wondrous, shiny, and ill-fated) will be added to the weapon after getting the weapon to level 2 and level 2+. As usual, Blessed Suffix offers the most powerful effect and stats. Currently, you should avoid getting Ill-fated prefix on your weapon, since it can't be repaired. The prefix can be changed when the equipment is level up again (the max level is level10). If you dismantle Extreme Pirate Weapon, you will lose 20% specific skill damage, but it will give you a Pirate Soul which is a new piece of accessory and it grants 15% crit damage. Then if you want to acquire the Pirate Soul, just dismantle Extreme Pirate Weapon, and you can get additional attack and crit damage. You can combine Pirate Soul with Red Legendary to produce an even more powerful Silverfrost Soul. All in all, some weapons are easy to get, while some are difficult to get. 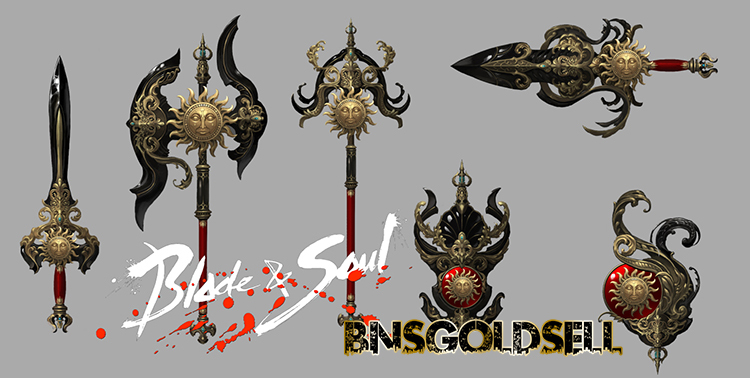 At this time, you can buy Blade and Soul gold from BNSGoldSell to upgrade your weapons so that you can kill bosses faster and more efficient.